Ag. Director General of NIMASA, Mr Haruna Baba Jauro, at a news conference in Lagos, said the agency was investigating the cause of the accident involving MT Elixir and MT Tank on Oct 19. He said that all vessels around the area where the incident happened, had been asked to assist in continued search and rescue operation, to ensure some people were not still trapped. Jauro also said that naval officers had been deployed to the area to guard against possible pirate attacks. Speaking also, Mr Vincent Udoye, Director, Maritime Safety and Seafarers Standards, said the rescue operation was continuing because there had been such situations where some survivors were rescued days later. He dismissed insinuations in some quaters that that NIMASA was not part of the rescue effort. Udoye said the agency responded immediately it received the distress alert, by sending signals to its zonal office close to the area. He said a vessel within the Bonga field was able to pick up a survivor because it was close to the accident area and had received the signal from them. Udoye said NIMASA had asked MT Elixir, which collided with MT Tank and ripping through it, thereby causing it to sink, to assist with advanced divers to access the sunk wreck in the 1500 metre deep water. He, however, said that NIMASA had made efforts to ensure settlement between both parties, adding that the agency was not responsible for compensation in matters of casualties. 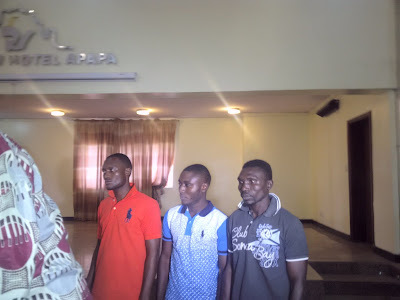 Mr Tosin Kolawole, the Managing Director of Twinstomp Energy Ltd., owners of MT Tank, however, said that besides the loss of their vessel, nine crew members were dead. He said that while three of the crew members were rescued, only one corpse was found, while the others remained missing. He said his company had yet satisfied with the level of corporation given so far by NIMASA. He said NIMASA should ensure a thorough investigation by agencies of government saddled with the responsibility rather than do a unilateral investigation. Kolawole requested that the Police, the Navy and possibly the Nigerian Army be involved in carrying out the investigation. He said that the foreign vessel, MT Elixir, which is far bigger than the MT Tank, should not be allowed to sail out of Nigerian waters until justice was done. Recall that NIMASA had on Oct. 23 in a statement, said its search and rescue team saved and rescued three crew members and recovered one body from the collision incident. It said the collision, involving MT Elixir and MT Tank, occurred midstream about 65 miles from shore, just 10 nautical miles south west of the Bonga FPSO near Warri.